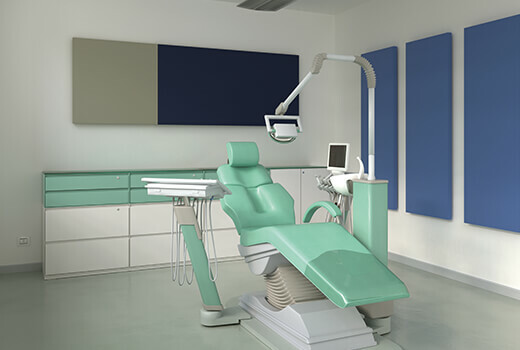 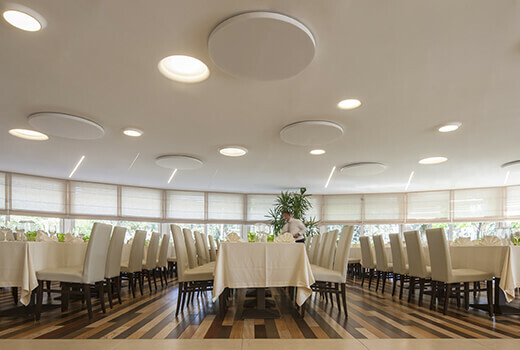 The Dot single-sided, upholstered removable sound-absorbing panel is designed to be installed in rooms with high reverberation times. 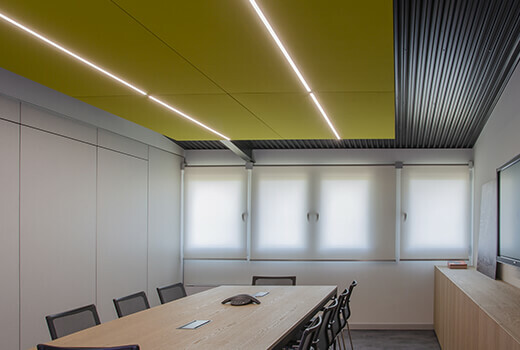 The panel has two different fastening systems: fixed to the ceiling or wall with tracks or attached to the ceiling with steel cables. 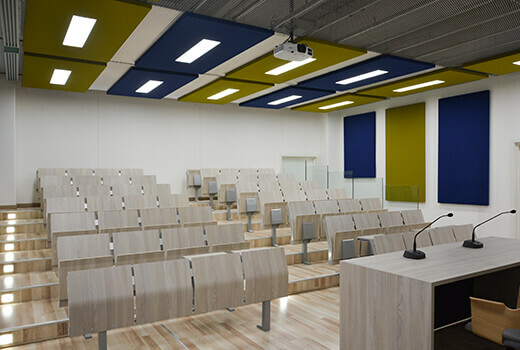 The cable system lets you position the panels at different heights so they can adapt better to the dimensions of the room. 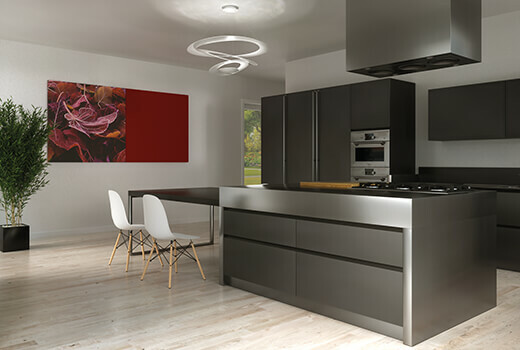 It can be fitted with LED lights to provide the correct space lighting. 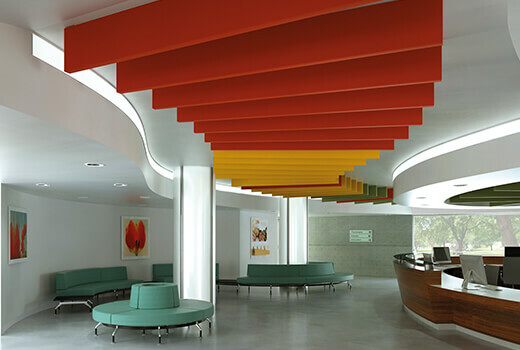 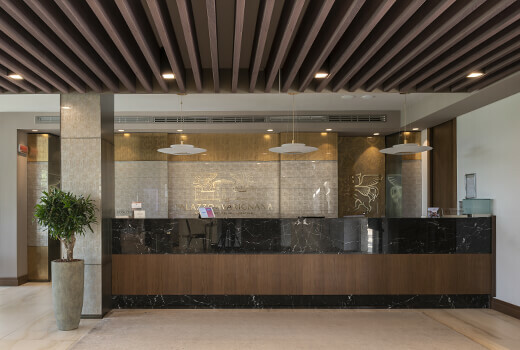 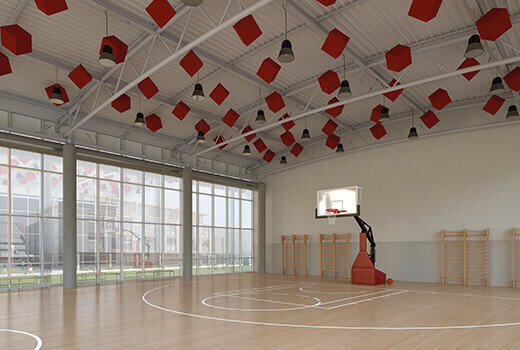 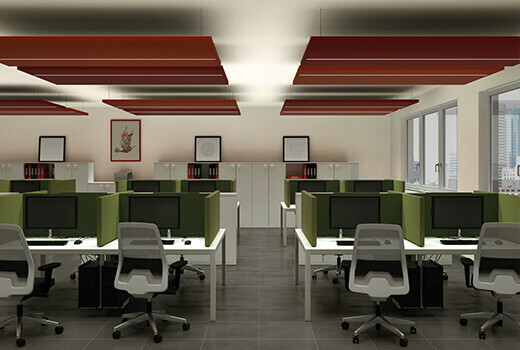 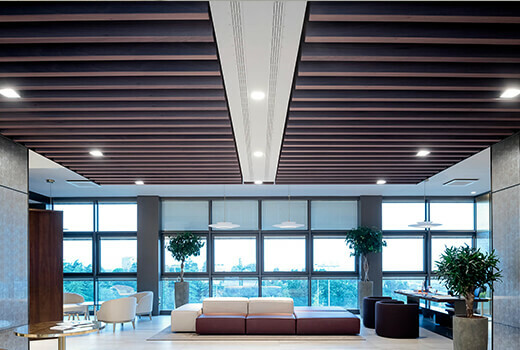 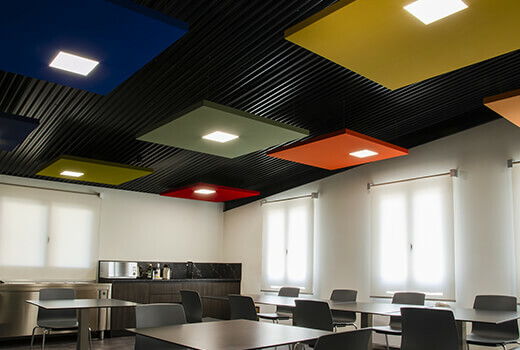 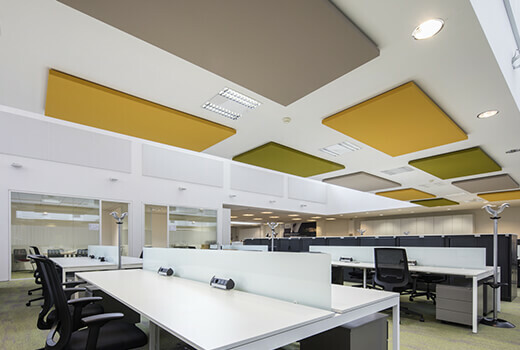 Efficient acoustic absorption, duration, safety: the Dot sound-absorbing panels have been devised and designed to guarantee optimal sound absorption, thanks to materials chosen with particular care. 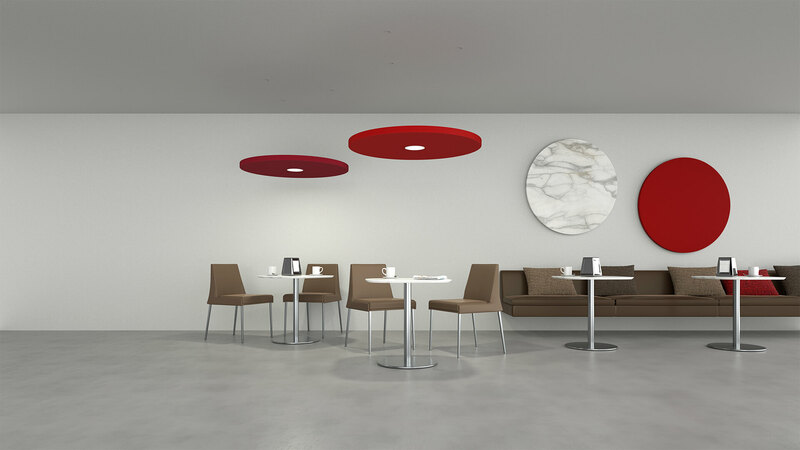 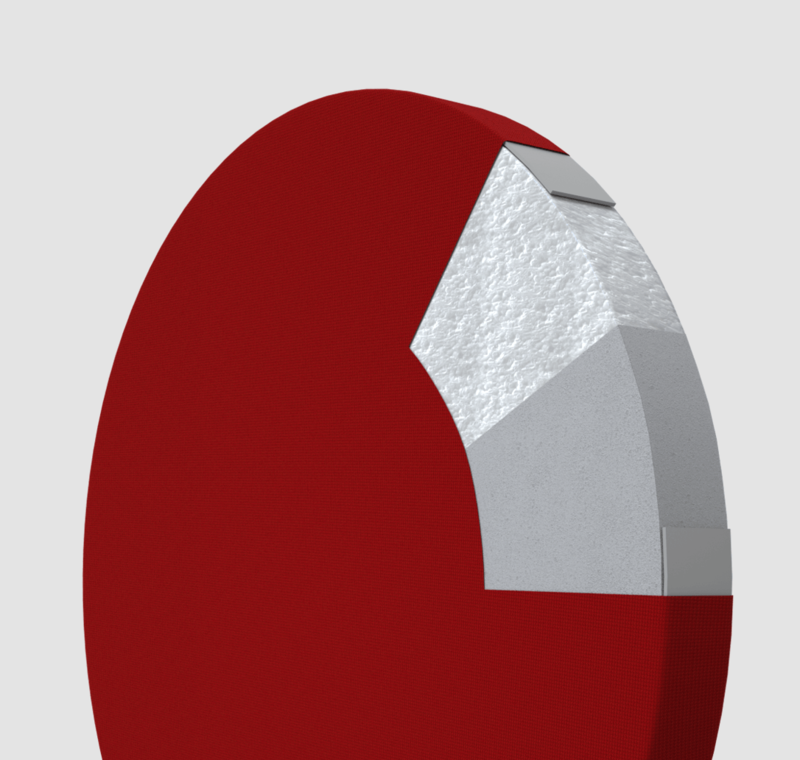 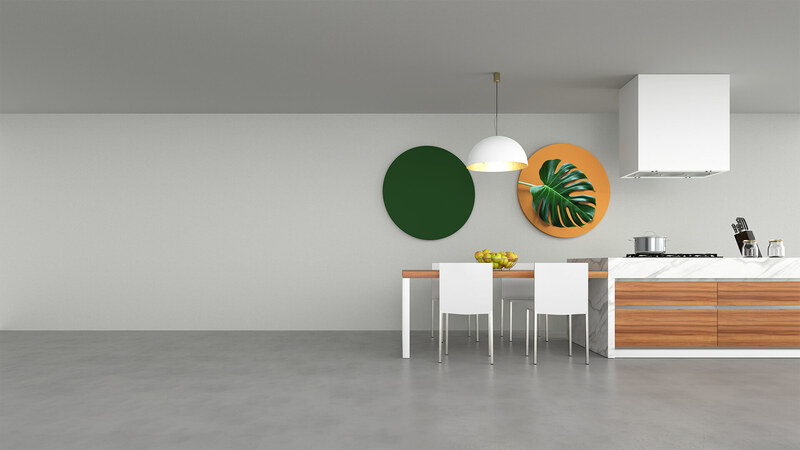 Dot sound-absorbing panels are available in the diameter of 120cm. 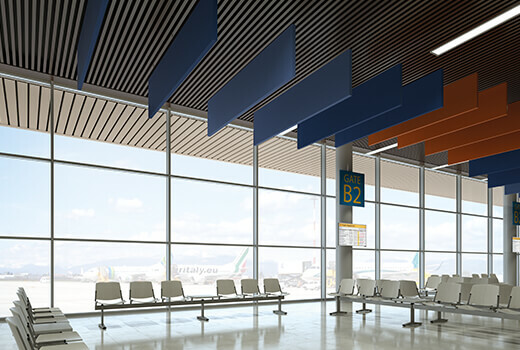 Thanks to their impressive performance, the Dot sound-absorbing panels can be positioned effectively to guarantee the required level of acoustic comfort.